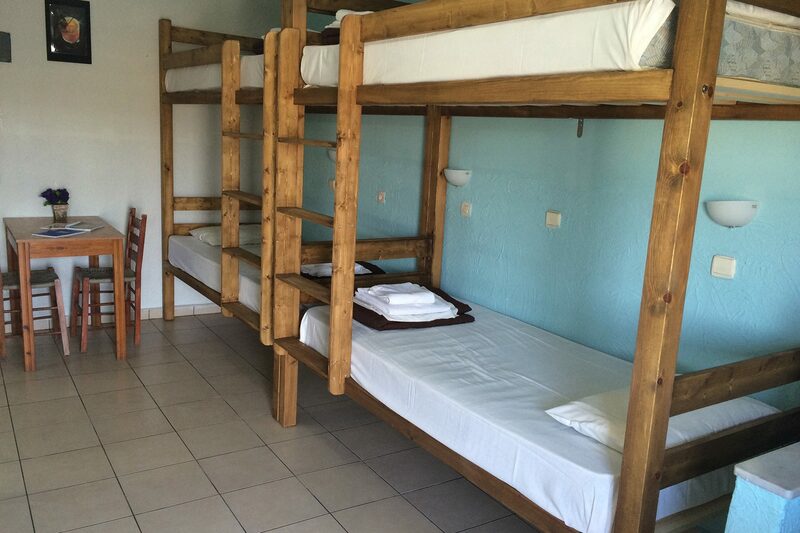 Our dorms are set up with four, six or eight twin-size bunk beds. Each room has it own in-room bathroom. Rooms are equipped with air conditioning*. Individual lockable** cabinets are available to secure valuables and personal belongings. Linens and towels are supplied, free of charge. * Air-conditioning is optional and charged accordingly if needed. ** All locks are provided by the guest. Our mini market provides locks for purchase in case you don't have any.